know something needs to change. But you can’t even imagine having the time or space to do it. Deep down, you know where this path is heading… though you may not want to admit it. Burnout, illness, relationships unraveling. Or maybe you’re there already. On some level, you know it’s time for radical self-care. You need a reset – on a physical, emotional and spiritual level. But you’re so maxed out with your career, family, students, responsibilities that you’re constantly falling to the bottom of your own priority list. I spent years overworking, anxious, and exhausted – even though from the outside, I appeared to be healthy and at the height of my success. I had to hold it all together for myself, my family, my employees. I felt that if I stopped moving for one second, everything would fall apart. But what I couldn’t see was that operating from that place wasn’t truly serving anyone… least of all me. And Yet Feeling So Unfulfilled. I kept working harder and harder to get ahead… all to get to some imagined point in time where I could finally relax. Instead, my transformation arrived in an 8×4 inch box – in the form of a 15 minute VHS tape that would change the course of my life forever. . .Yoga was my last ditch effort to heal my pain after I had seen every doctor, naturopath and healer I could find. From the very first minute of doing this practice, it felt like the pressure finally lifted. Suddenly, I could see clearly what I had been doing to myself – and what needed to change. The experience was so profound that in the 20+ years since that day, I’ve dedicated my life to the deep study and teaching of yoga (with many of the world’s top teachers) – and have refined these ancient practices into a proprietary system that is clear, fast and highly effective. The truth is, you have a reservoir of untapped energy inside you that’s waiting to work for you. But you need a way to access it and breakthrough what’s holding it back. I’ve been a student and teacher of Kundalini Yoga for for over 20 years now. I’ve studied under the direct mentorship of one of the world’s most respected Kundalini teachers, Gurmukh Kaur Khalsa, and I’ve worked with thousands of students just like you – who have almost given up believing that change is possible. In Breakthrough Your Blocks, you’ll break free of repressed emotions and outdated beliefs that have kept you stuck for years, THIS is what’s weighing you down. This is what makes you feel heavy, tired, and even anxious. Energy like you haven’t felt in years. Confidence in yourself, your abilities, and even your body. Courage to pursue your biggest dreams – and make them a reality. My approach is based on the time-honoured wisdom of Kundalini Yoga – adapted to serve your life today. It’s designed to get the maximum amount of benefit in the shortest amount of time by combining specifically curated yoga, meditation and methods of self-inquiry. The result is cathartic, empowering, and will get you on track for life. I’ve spent decades bringing this practice to thousands of people through my Semperviva Yoga Studios in Vancouver, BC, as well as my online videos, yoga retreats, teacher trainings and conferences around the world. And now I’m excited to be offering this transformational online program to you. Taking this course for Personal Growth? Breakthrough the patterns that are keeping you stuck – and create NEW habits that support the life, career, well-being and relationships you desire. Drop the mask you’ve unconsciously created to feel accepted, and step confidently into your true authentic self. Learn the #1 tool to break free of the anxiety (and even anger) that’s been draining your energy… so you can approach each day with newfound inspiration and motivation. Activate your inner navigation system and get back in the driver’s seat of your life – confident the choices you’re making are in full alignment with your highest good. Find the courage to follow the dreams you’ve been putting off for too long – and the strength to manifest them into reality. ARE YOU A YOGA TEACHER OR WANT TO TEACH? Learn the tools + techniques you need to truly THRIVE as a yoga teacher – instead of sacrificing your health & well-being for others. Understand the real blocks getting in the way of the success you desire (and deserve!) – and what you can do to overcome them. Let go of any comparison or self-judgment… so you can teach feeling truly comfortable in your own skin. Build the confidence you need to teach authentically – and hold space for deep transformation. Experience 7 unique meditations and 12 exclusive Kundalini Yoga sets for personal breakthroughs (that you can also share with your students). Here it is… an exact system of transformation that can change – EVERYTHING. You no longer have to guess at what to do to get results, the process has been carefully laid out for you. This course is 46 days in length and consists of two parts. Expect to receive benefits right from Day 1! The intensity of your first six days is purposeful. You will be taken to your limits, so you can transcend those limits! The targeted work of these Kundalini practices on your nervous system and glandular system will change you on a cellular level. You will feel different after each and every practice, and you will feel profoundly different after your six consecutive days of lessons. 90­ minute practice video released each morning including a physical practice, active meditation + self­ exploratory written exercises. Email re­cap each evening to review the day, and help you prepare for tomorrow. Dialogue in the private Facebook group about your experiences, questions & insights. A powerful Kundalini meditation is assigned to you after part one of your immersion to fully integrate and solidify the changes you experienced in your first six days. You must complete this short meditation daily for forty consecutive days-this is a foundational practice for personal transformation. Your assigned meditation is unique to the Kundalini tradition and incorporates mantra and mudra. This is where the biggest changes happen! You will complete the same 11­ minute meditation daily for 40 days. If you miss a day, you start over! New 30 minute practice videos will be released weekly. Regular email check-­ins to help you stay on track. Dialogue in the private Facebook group and course forum about your experiences, questions & insights. emotionally, so you can transcend them. will help you breakthrough your blocks for good. You will start experiencing benefits of this immersion from your very first practice – and the benefits will deepen over time. You will feel clear and strong, vibrant and free… and more like yourself than you have in years. There are 4 core components of this practice: breathwork, strong physical practices (that are also accessible), meditation, and guided self-inquiry. These work together to create change on a physical, mental and spiritual level. Change requires action, and the time to begin is right now. All you need is 90 minutes per day for the first 6 days, then 11 minutes per day for 40 days after that – all from the comfort of home. If you can’t join us for the live program dates, you can create your own schedule. I will be there to personally support you every step of the way. Ask me questions in the private Facebook group, or send me a direct email anytime during the program! 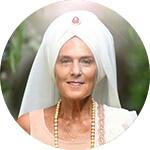 Interested in teaching Kundalini yoga? You can combine the online Immersion with other live trainings to receive your 200-hour certification OR earn course credit toward your 500-hour certification. Ask here if this applies to you. You’ll have lifetime access to your course materials, as well as the private Facebook group. Go back and review your materials anytime, or participate in the program again with a future group for FREE! inclusive community of heart-centered participants from across the globe that will inspire you with their passion, drive and sense of purpose – and hold you accountable to your goals. We now have participants in over 20 countries and almost every continent. Each year you’ll be invited back to experience the NEW courses with an ever-expanding, nurturing circle of support. When your will is weak, you feel like a victim of circumstance… and you become easy prey to manipulation, intimidation and guilt trips. In this module, you’ll strengthen your will and reclaim your personal power – giving you back full control over your destiny. Are you ready to be free of past hurt? Release your fears and anxieties? Break free of addictions to foods, substances – even procrastination? In this module, you’ll let it ALL go. This process will help you get unstuck and experience a state of true freedom. Are you locked in repeating behavior patterns that block your fulfillment, and lead to self-sabotage? It’s time to start making choices in life that are clear of your past – and in alignment with your destiny. This module will help you break free of your repeating patterns. Carrying unresolved anger from your past in your body + psyche triggers further pain in your future. In this module, you’ll learn a safe and effective way to cleanse suppressed anger – and transmute this negative energy into a higher vibration. In this module, you’ll access creative energy to break free of the persona you’ve created to show the world, so you can become your true self again. It’s only in living from this authentic place that you will create a life in alignment with your highest destiny. Doubt and insecurity are signs of third chakra weakness. To get unstuck and become fearless in your actions, you need to continuously build your navel strength. In this module you will build your faith, breakthrough your fears and recommit to powerful life change. Each targeting specific chakras (energy centres within the body) to manifest corresponding benefits in your life. Breakthrough Your Blocks is the course in the Series that can have the greatest impact on your progress. This cathartic course puts an end to the negative patterns and self-sabotaging behaviours that keep you from realizing your potential. I’ve spent more than 20 years refining these ancient physical and energetic practices to create a system that takes you from self-sabotage to self-mastery… so you can get un-stuck and start experiencing success and fulfillment on every level. You will experience change as quickly as Day 1 of the course. In as little as 6 days, you’ll break old patterns and develop new success-building habits. And when you commit to the full year long journey, there’s no turning back… every area of your life will be completely transformed. The Self-Mastery Series courses are for students new to yoga as well as those who have been practicing or teaching yoga for years who have yet to experience the transformative power of yoga. Although the Series is not designed specifically for yoga teachers, the Self-Mastery Series is eligible for course credits. Not only will you learn a NEW way to practice yoga and NEW yoga teaching techniques, you will firmly establish the #1 foundational tool for personal transformation… committed, daily practice. You will receive a certificate of completion after your course, so even if you don’t currently plan on teaching, this course can count towards your Teacher Training course credits when you’re ready. This course is the catalyst you need for change. It is designed to reconnect you to your passion for your dream and to use that passion as the driving energy to get your dream done. The specific fifth chakra activation included in the course will accelerate your manifestation process by guiding you to clearly communicate your dream and finally ASK for and be ready to receive what you want. Once you get crystal clear on your dream and start moving towards it, you will experience blocks to your manifestation process. The Breakthrough course is situated in the Series exactly when these blocks begin to appear, so that you can break free of the subconscious limitations that have kept you stuck for years. You will uncover and free yourself of outdated patterns of behaviour and addictions and rebuild your self-worth and courage to create the life you’ve always dreamed of. Once you’ve crystallized your vision and broken through the barriers to your success, you begin the heart healing journey. In Heal Your Heart you create balance between your material and spiritual needs, which most importantly includes building deep and meaningful relationships, especially with yourself. You learn self-acceptance, self-expression, and unconditional love. You become fully you and validate that what you’re going after, your dream, is in alignment with your true self. The Master Your Mind course is the culmination of all the work you experience in the Self-Mastery Series. True success hinges on your ability to shift your mental and emotional state and take yourself from self-sabotage to self-mastery. You will Master Your Mind to Master Your Life. Six completely unique 90 minute Kundalini Yoga practice videos – including a physical practice, dynamic meditation + guided self-inquiry exercises. Six 30 minute Kundalini Yoga practice videos – to solidify the changes experienced in the first six days of each immersion and to facilitate each 40 Day Integration period. Seven Kundalini Yoga Meditations – including a specifically selected 40 Day Meditation that is pivotal for establishing the life changing practice of daily Sadhana. Emails offering practical guidance and support – to help you stay on track and inspired throughout the program. Password-protected members’ portal – where you can access all of your materials in one place – from anywhere in the world. This course platform is easy to use and is a safe and sacred space to get your personal questions answered. Private Facebook group – to connect with-and create deep and soulful community that will uplift, motivate and support you during your course and beyond to future online trainings and worldwide destination retreats. Credit toward your 200-hour or 500-hour Yoga Alliance Teacher Training Certification – Please contact us to confirm eligibility or to find out more about becoming certified as a Kundalini Yoga Teacher. Lifetime access to your program materials and FaceBook group – You’ll be invited to join all future Breakthrough Your Blocks sessions, as well as be able to pop back into the course platform for a refresher anytime you like. The full Self-Mastery Series includes a total of 50 completely unique Kundalini Yoga Kriyas, with BONUS fresh live classes available to you each time the program runs. Full access to Gloria Latham via the professional course platform, private Facebook group and direct email – to ask questions and receive additional support and personal insights not offered anywhere else. Rapid personal growth – as you clear your blocks and awaken your untapped potential (Kundalini Energy) to overcome the limitations of your mind. Exclusive bonus classes, and early bird access – to future online and destination training. I started this series with ‘Breakthrough Your Blocks’ in April of 2018. I have taken all four online modules and attended the live training in Greece last summer. Just a little over one year ago, I had no idea that I would become a Kundalini Yoga instructor and owner of a yoga studio. I started my Kundalini and meditation journey nearly seven years ago. It has helped re-wire my brain, strengthen my body/mind, and reset my nervous system. Gloria’s Self-Mastery series itself has further helped me remove blocks, follow my heart, gain clarity, and align with new possibilities. I feel like I am really living a dream! I am now the owner of New Moon Yoga Studio in Traverse City, Michigan (US). And just recently led my very first Kundalini yoga class there as an instructor! I feel completely joy-filled and genuinely in love with the creation and that I can contribute to wholeness, well-being, balance and love in this way! I have found my place. My home. I am me. I am whole. I am FREE! I am LIVING THE DREAM! I am seriously blown away and I am humbled at the same time. I have immense gratitude for Gloria and all of you on your journey! Gloria Latham worked as a licensed pharmacist for almost ten years before discovering true health through the practice of yoga and meditation. 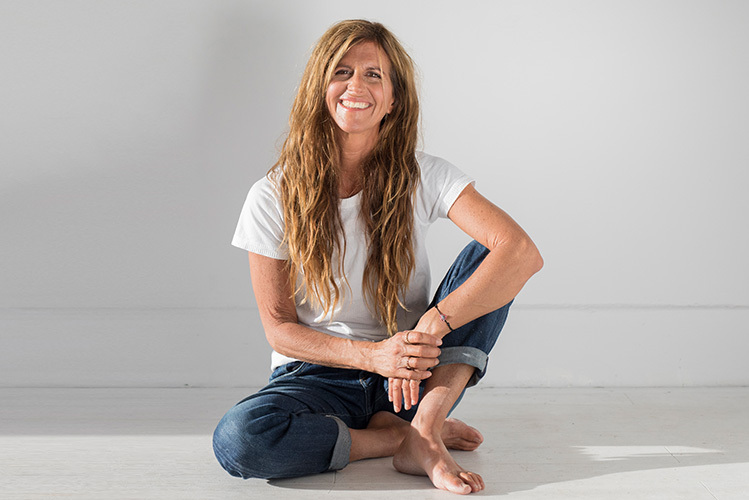 She is one of the most influential forces of Yoga Teacher Training globally – and is best known for her transformational programs that help students powerfully break through barriers, as well as her highvibing Yoga Raves. As the Director of Yoga Teacher Training at Semperviva International College of Yoga she has trained thousands of students worldwide. Gloria is a Lululemon Global Ambassador, a frequent presenter at Yoga conferences and festivals worldwide, as well as Yoga International & Gaia TV and founder of Semperviva Yoga Studios – with four locations in Vancouver, Canada. As the Director of Yoga Teacher Training at Semperviva International College of Yoga, she and her team of top Yoga Alliance certified teachers, offer Yoga Alliance certified teacher trainings in Canada, Europe, Asia and Mexico. Kundalini Yoga is a powerful practice that delivers immediate and life­changing results. Immediate Benefits – Kundalini Yoga is the fastest route I know to personal transformation. Guaranteed Success – the goal of Kundalini Yoga is to release your Kundalini Energy, your untapped potential which is already encoded in you. And now, you’ll have the tools and techniques to unlock it. Inclusive – the simple, repetitive movements are easy enough for anyone to do, regardless of age, fitness level or experience. Strengthening – Kundalini Yoga taps into an inner strength, that you’re not even aware of, and teaches you how to use that strength to excel in every area of your life from your relationship to your career goals. Mind-Body Health – It strengthens your nervous system and your glandular system, the guardians of your health while creating a body that is healthy, lean and strong. Cathartic – releases the toxic, self-abusive patterns and behaviours (judgment, workaholism, binge eating…) and self-limiting beliefs that have kept you stuck for years. The Self-Mastery Series Courses will challenge you on a physical, mental and emotional level. It will challenge you to change your life and heal your relationships for good. This course is for anyone inspired to create real and lasting change in their lives. Those on the teaching path can earn course credits for participation. What results can I expect from this immersion? In the Breakthrough Your Blocks immersion, you’ll break free of the subconscious limitations that have kept you stuck for years, so you can finally experience the freedom and fulfillment you’ve always wanted. Ultimately, the results you achieve are entirely up to you. I’ve witnessed students experience transformation in every area – from their careers to their relationships to their sense of confidence and well-being – by committing to doing their “inner work” in this transformational program. What you get out of the course depends on what you’re willing to put into it. The time commitment is minimal but the results can be profound. How can I get certified as a Yoga Alliance registered Kundalini teacher? The Kundalini for Self-Mastery programs including Breakthrough Your Blocks can be combined with a live training to receive your 200-hour certification OR earn course credit toward your 500-hour certification. Email me directly at info@semperviva.com to find out more. I’ve never done yoga. Can I still participate in an immersion? Absolutely! Just like you I was once intimidated to try yoga, and I didn’t really understand what it could do for me. That’s why, when I started to teach, it was extremely important to me to deliver classes and courses that were accessible, inclusive and effective. In addition – Kundalini Yoga looks quite different to what you might think of as yoga. It doesn’t have all the familiar poses like triangle or Warrior One. But this is one of the most powerful aspects of the practice. The simplicity of the movements, and the fact that there are no postures to perfect or levels to achieve, make it possible to take your focus off your physical body so you can do the deep “inner work” of unlocking your potential. Despite the simplicity, this practice will challenge you, and you’ll not only develop a strong body but a strong mind. I’m worried the practice may be too physically challenging for me. Anyone can do this practice. Unlike other forms of yoga, there isn’t a sequence or a flow that you have to keep up with. You can make it as intense or as easy as you need by making minor modifications. I’m pregnant. Can I take this course? Although Kundalini Yoga is suitable in pregnancy with modifications, I do not recommend these immersions for pregnant women – since I am not there in person to suggest proper modifications. How much time will I need to dedicate to this program? Breakthrough Your Blocks consists of a 6-day immersion, followed by a 40-day integration period. During the immersion, you’ll complete a 90-min practice video each day for 6 days – which includes a physical practice, active meditation + self-exploratory written exercises. During the integration, you will complete an 11-min meditation daily for 40 days (if you miss a day, you start over!) and receive an optional 30-min practice video once a week. You will have lifetime access to your course materials and the private Facebook group. This means you have complete flexibility as to when you complete the program – and you can participate with future groups every year for FREE. How tech friendly do I have to be to take this course? All you need is an internet connection. You can stream the videos directly off the member’s portal or download them to your desktop computer. You can also download to any device by using an app. Can I spread this program out over a longer period of time? You won’t experience the same results by spreading this program out over time. This dilutes the power of the practices, and unnecessarily delays your achievement. Allow yourself to experience the success that comes with a deep immersion into Kundalini yoga. Can I complete the programs on my own time? Ideally, you want to participate with the live group for the accountability and support that comes from working with like-minded people. However, you will have lifetime access to your course materials, which means you have complete flexibility as to when you complete the programs – and you may even choose to participate again in future sessions. You’ll also be added to a special alumni Facebook group, where you can continue the conversation after each course is done. This course will not be offered again for one full year. Yes, a four month payment plan is available. I've never done an online program. How does it work? You’ll receive private access to an easy to use online course platform. Your video lessons and worksheets are organized by day, and there is a special discussion area to support and inspire your fellow students. Regular email reminders will help you stay on track throughout the program, and additional discussion and support will take place in our private Facebook group. After you purchase the program, please stay on the purchase page and you will be redirected immediately to my learning portal, where you will be asked to create a username and password for the program. If for some reason you exit the page before you are redirected, don’t worry – an email will be sent to you with your tax receipt and a link. Once you click on this link, you will be redirected to the learning portal and asked to create your username and password for the program. If you don’t receive the email, message info@semperviva.com and we’ll get this right over to you. Will I have access to Gloria for questions? I personally respond to all your online questions both on the course platform and the private Facebook group. You can also email me privately at info@semperviva.com. Similar questions come up for everyone so I encourage you to use the public forums to create a strong community of support for each other. Do I have to take all four immersions to benefit from the Breakthrough Your Blocks course? Each Kundalini for Self-Mastery immersion can be taken independently, and you will experience immediate and lasting changes. All four immersions can be completed over the course of one year, if desired, and lead to profound transformation.